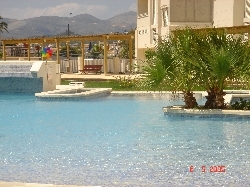 on the 13th floor is precisley what you are looking for, featuring all the amenities a modern apartment has to offer. 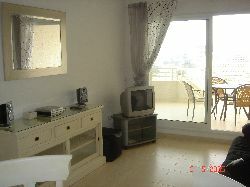 Calpe is a relatively sophisticated holiday resort in the most popular tourist region of the Costa Blanca. 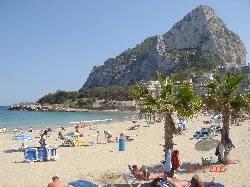 Visitors from throughout Europe regard Calpe as the perfect holiday retreat. 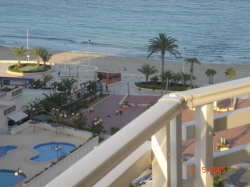 Calpe is popular for family holidays and with water sports fans due to the mile long gently shelving beach. 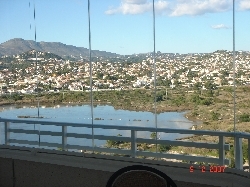 Excellent local facilities also mean that Calpe is a great resort for those interested in Golf and Tennis. 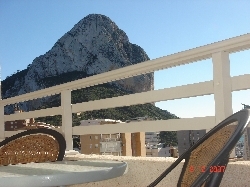 A Calpe holiday offers natural beauty, fantastic food, culture, blue clear sea and a backdrop of breathtaking hills. Calpe Old Town is becoming increasingly popular and an important part of the town in its own right. Calpe has interesting Museums, narrow winding little streets and picturesque squares. In the evening the many bars and restaurants are the biggest attraction.